Sunil Kumar Jain from Bangalore, India started an NGO named Astha to empower people with disabilities through sports. Mr. Jain himself has been in a wheelchair since he was 18 months old, and he believes that people with disabilities have barriers, and sports can be the best way to break them. Along with a few of his friends, Jain initiated a ‘Jugalbundi Sport’, wherein one of the players was in a wheelchair and they conducted friendly matches. This created a purpose for interaction and brought out the confidence in the players. Mr. Jain took up this project in order to change peoples’ vision toward the disabled. He used various forms of social media to create awareness, which has led so far to 17 of these kinds of sports events with more than 300 participants. 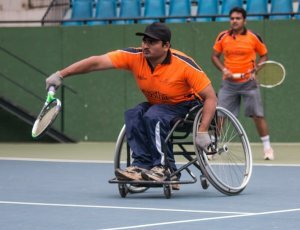 He also conducted India’s 1st AITA rated tournament, as well as India’s 1st accessible wheelchair tennis training facility. In 2017 he is looking forward to organizing two more tournaments mainly for junior players (11-15 years) and build a wheelchair accessible tennis training facility. When asked about Landmark’s courses, Jain mentioned that they altered the way he lived. These programmes allowed him to commit, understand and connect to people. He has lost all of his agitation and has been able to contribute a lot. He now has the power to reach out to people, inspire them and make a change! Visit Astha’s website for more information. What do you think about world religions, such as Christianity, Islam, the Bahai faith and etc in terms of empowering people? 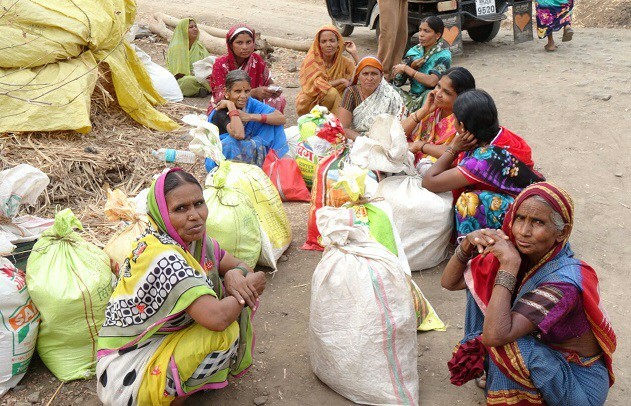 One woman’s project is turning the metropolis of Ahmedabad into the most hygienic city in India. UK commuters received the opportunity to give toys to kids as part of ‘Alban Play Station’, a project created by Andy West while taking part in Landmark Education’s SELP.